I was cleaning out a closet tonight, and I found a couple of copies of Novell Netware 5. It got me thinking about Novell, and how great a server it was at the time. Now, I was never a Novell engineer or anything, but we had several clients that had Novell servers, so I got to mess with them on a regular basis. For those who don’t know or remember Novell, it was an awesome file and print server back when Microsoft was still struggling with the whole “network” thing. There were a few file and print sharing systems at the time, including Novell, Banyan Vines, and Windows NT. The difference between them was that NT was a bootable OS, while Novell and Banyan ran on top of DOS. This had the advantage that if something happened to the network server’s partition, you could still boot into DOS and run recovery tools. Of the three systems, I liked Novell the best. Granted, I came into it late (’98), but I still was working on Novell 3.12, 4.11, NT 3.51, and NT 4 systems. We did have one customer that had a Banyan system, but I only worked on it a couple of times…and that was more than enough for me! NT systems usually couldn’t stay up for more than a week or two before it needed to be rebooted. In fact, at the time, Microsoft recommended a reboot at least once a week. Not to mention it would freeze a lot. Granted, quite a bit of that instability was from the poor quality windows software, but a lot of it was still due to the OS. On the other hand, it was nothing for me to go to a Novell server, and see an uptime of months. I believe the longest uptime I saw on a Novell server was 1.5 years. Compare THAT to a Windows system! Now, you can get IBM mini systems like the System36, or AS400 systems with uptime in the years easily, but Novell was a system that was being deployed on commodity hardware, was relatively inexpensive, and in some not-necessarily prime locations (like a hot garage). For the price, you couldn’t beat the stability, and security of a Novell system. And not once did I hear of a Novell virus. Not once. You could drop a virus onto a Novell volume from another station, but it wouldn’t affect the Novell system itself. Unfortunately, Novell fell to the M$ juggernaut. It didn’t seem that way at first. In the early-to-mid 90’s, it was a tie between Novell and Unix systems on servers. NT came a distant third. Novell did everything NT did…but better. File and printer sharing and file security was much more robust on a Novell system. Novell even had a comprehensive network directory system (called Netware Directory Services) when Active Directory was flailing. But as Windows 2000 started gaining ground, it was obvious that Novell wasn’t innovating fast enough. Small businesses were quickly moving beyond needing just file and print sharing. They needed internet connection sharing, email services, and firewalls. At the same time, software designers were moving away from the client running all software, and only data on the server, to the server running some kind of service that the client connects to. Novell either couldn’t or wouldn’t keep pace. Novell attempted to add these services, but couldn’t do it for the same price as competing Windows products could do it. After the release of Windows 2000, Novell’s fall went fairly quickly. Novell tried to rally by buying Suse Linux back in 2003, but it was too little, too late. By that time, Windows had pretty much trounced them. Despite a clear (and by all accounts smooth) upgrade path from Netware to Suse Linux, customers continued to migrate to Windows. Now, very few installations of Novell remain. It’s a little sad, but the current market simply outgrew what Novell could provide. I still have a copy of Novell Netware 5, though. You never know when you’ll need it. RE: We Want A Dead Simple Web Tablet For $200. Help Us Build It. Original Article: We Want A Dead Simple Web Tablet For $200. Help Us Build It. Michael Arrington wants a web tablet for $200. Looks like he wants a Nokia n800 or a n810. 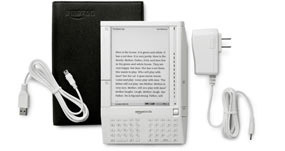 The n800 is now LESS than $200, and though the n810 is $400, it adds built-in GPS, free turn-by-turn directions using Maemo Mapper, sunlight-readable screen, and a slide-out QWERTY keyboard. Why does he want to re-invent the wheel? I’ve been using a n810 for a couple months now, and I absolutely LOVE it. 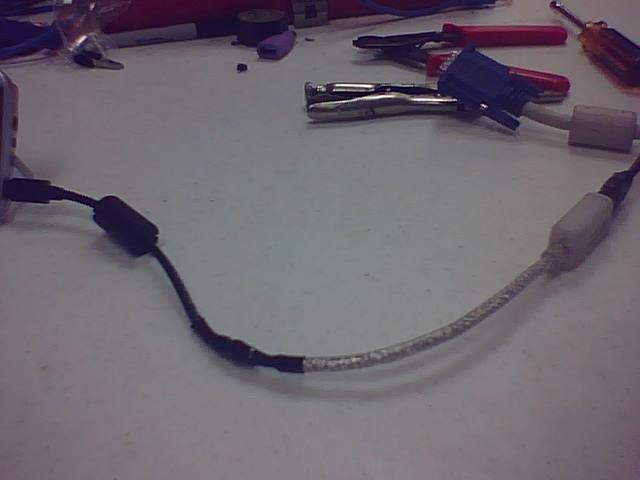 The ablility to tether to a bluetooth phone and use it for internet access is awesome. It gives me cellular provider independence. Change providers, change phones, but don’t have to change the Nokia Internet Tablet. And the super-sharp screen is amazing. The only problem I’ve had is finding someone to test the video calling with. No one I know personally uses Skype or Gizmo. So I’m stuck testing the VoIP audio alone. I had to take it with my phone, then transfer it via bluetooth to the tablet, then email it to my desktop, because I get NO cell phone signal down here in the dungeon. Still, it only took a few seconds to do. 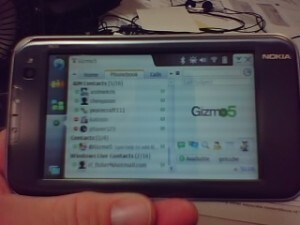 I like Gizmo5 because it is a nice multi-protocol chat client, PLUS does the VoIP thing like Skype. Video calls, callout to landlines, etc. The tablet actually belongs to my employer. I use it to VPN to the company network for administrative purposes. I can remote desktop servers, workstations, unlock user accounts, etc. The screen’s too small for complex stuff, but is fine for the majority of simple operations that I do on a nearly daily basis. Throw in the fact that it’s an excellent ebook reader, email client, web surfer, and GPS, and you have the device that I have a hard time doing without. It’s not without it’s flaws. The user interface needs work. It’s clunky in places. The buttons in most programs (including the home screen and control panel) are too small for fingers. And the built-in apps are spare to say the least. Still, there’s a great developer community, and each iteration of the Nokia Internet Tablet (NIT) continues to improve. So stop trying to re-invent an already incredible product. Just go buy one!